Hello hello! If you didn't already know - I'm now making weekly YouTube videos. Despite having been rather quiet about it on here, I've been really, genuinely enjoying it. My most recent video; A Sleek Low Bun Tutorial, is something that's been highly requested across the years both here on my blog and on my YouTube channel, so I thought it might be apt to share it on here! My blog has always been and will always be my first internet love - you guys have been here the longest after all! So, I'd really appreciate your thoughts. It's only 2 minutes long so if you'd like to take a gander, you can do so below! Aa always, thanks so much for being here. Along with the rest of female-kind, I was recently captivated by the Chanel toe-cap sling backs. But, with the price tag hovering around the £400 mark, I'm neither able nor willing to make such a purchase due to 1. I am not currently in possession of £400 to drop on shoes & 2. I'd never wear them. Quite honestly, I can't see myself ever spending such an amount on a pair of shoes, and not because I think you shouldn't or I think it's silly - the contrary, I can't quite grasp the fact that I would strap to my feet and walk around in something so beautiful and expensive. They literally go on the floor. I would feel guilt with every step. I would genuinely just feel too scared to walk around in them. Also, I can't help but feel that in part, they are a trend - and knowing myself to be quite a fickle person when it comes to clothing and accessories, I'd have grown bored of them by August. So - when Topshop recently dropped their take on the much sought after slingback, I saw them as a perfect alternative. If I dirty them up, it's not the end of the world. If I get bored of them, it's not the end of the world either. No walking around in fear of pavement-dwelling chewing gum or something even more unpleasant. Ideal! So, you'll find me trotting around in these silver, block heel, toe-capped Chanel dupes for the foreseeable future. Shoes: here. Jacket & Skirt: Zara. Sunglasses: Miu Miu. Bag: Chanel. - - - Photos by Paige of Paige Joanna. Hello friends! 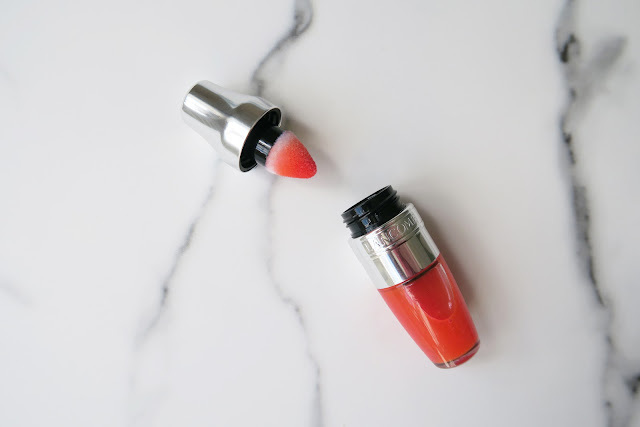 Today's beauty themed post comes to you in the form of Lancome's newest release; Juicy Shakers, a modern take on Lancome's iconic Juicy Tube lip glosses. 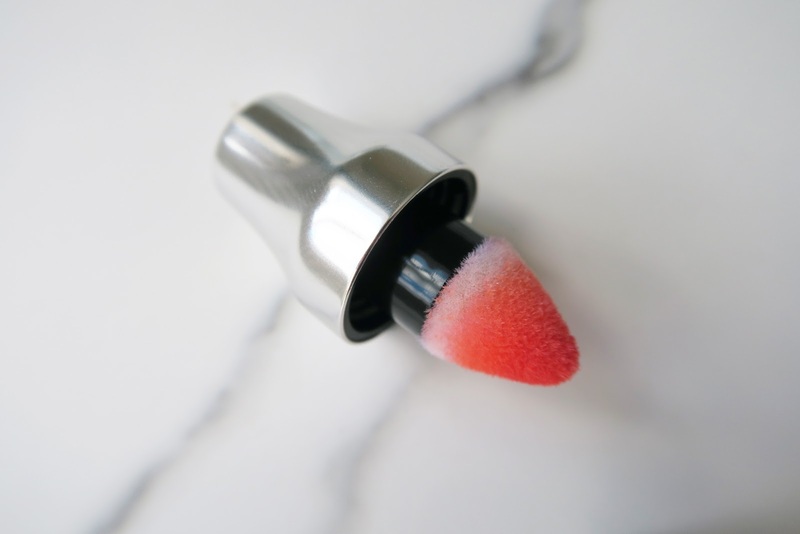 The snazzy product container is styled in the shape of a cocktail shaker, with a vigorous shake necessary to mix the pigment and scented oil - hence the name Juicy Shaker! 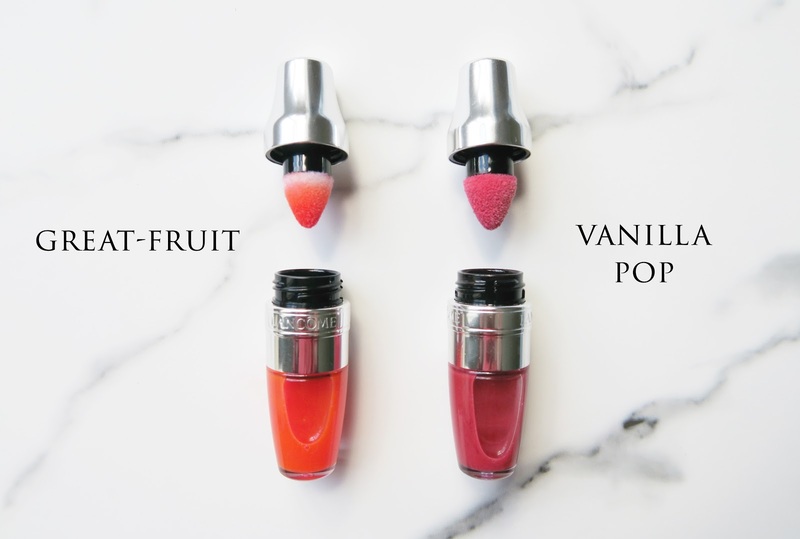 They retail at £18 each and are primarily a tinted lip oil, although they offer moisturisation too. 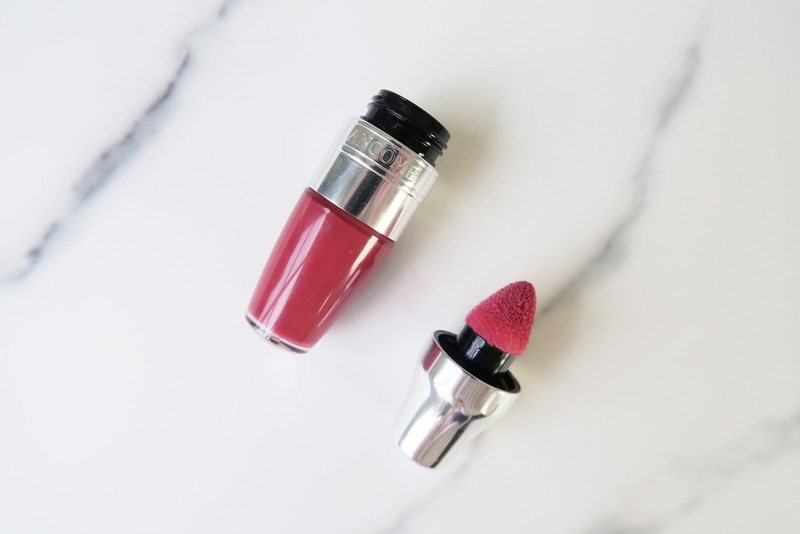 Through shaking, the perfect amount of product is decanted into the cute little sponge applicator. First off, the product smells great. Each different colour has a corresponding scent, so 'Vanilla Pop', a berry-red, smells of Vanilla and 'Great Fruit', a very orangey red, smells of grapefruit - you get the idea. The application is smooth and non-sticky, and I admit, my initial first impression of the colour payoff was one of disappointment. The colour in the container is so bright, I expected perhaps unrealistically, to see something similar as the result. However, once I reminded myself that the Juicy Shakers are marketed as a tinted lip oil, I reevaluated my expectations. 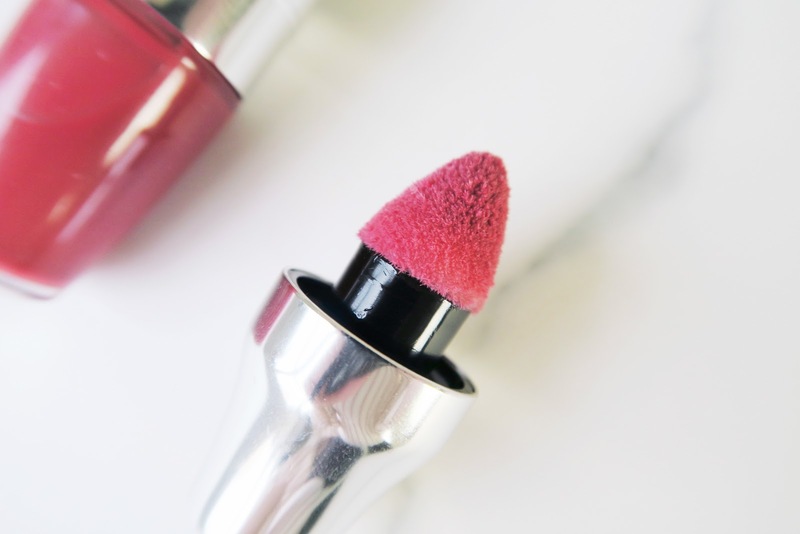 The coverage is very sheer, but the darker shades are buildable. Despite my initial disappointment, I really genuinely like this product. It's a very fresh, pretty look that appears quite natural. 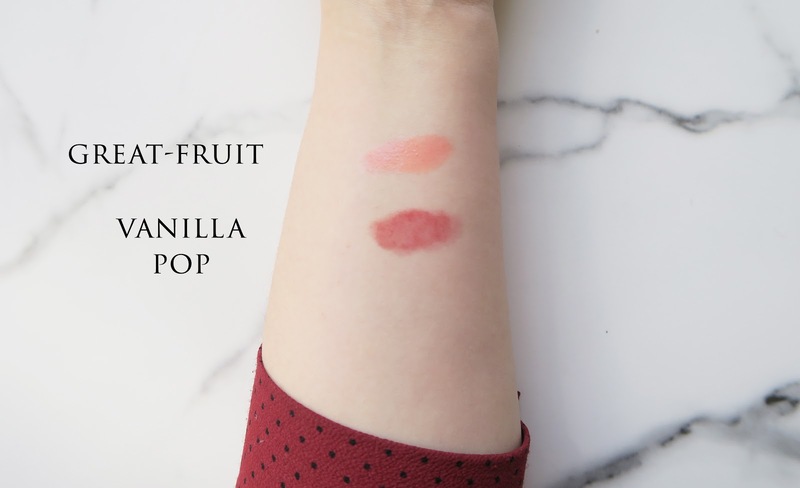 None of the harsh lines you get with lipliner or lipstick; it almost just looks like you've been *blessed* with amazingly pigmented lips. Another pro of this product that I mentioned on YouTube, is that they wear off in a very even manner. They almost melt away - meaning that these are quite handy little products if you're going on a date or spending time with your significant other - no need to worry about both parties faces being smeared in lipstick. It just sort of... disappears! There's my weird tip of the day. Probably not the marketing angle Lancome were going for but hey, it's a plus! Take a look at Lancome Juicy Shakers here.